Our quality, value-priced collection of window coverings take the guesswork out of shopping and provide you with the right solutions to meet your individual needs. Whether it’s added privacy, light control, or insulation to reduce heating and cooling bills – or if you simply want to enhance your surroundings, our window coverings will bring you comfort, style, and value. And, if you have small children and pets, we offer special features and options that will help keep your loved ones safe and protected. 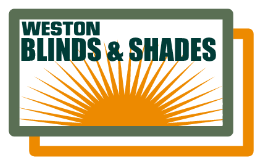 Weston Blinds & Shades is proud to be an authorized dealer for Alta Window Fashions and it’s amazing line of window treatments. Contact us today and let’s us help you with choices that will meet your needs. We are “The Transformation Specialists”.